Every single day holds opportunities for growth. If you’re seeing something negative persist in your life, picture a goal of what you’d ideally like that picture to look like instead. 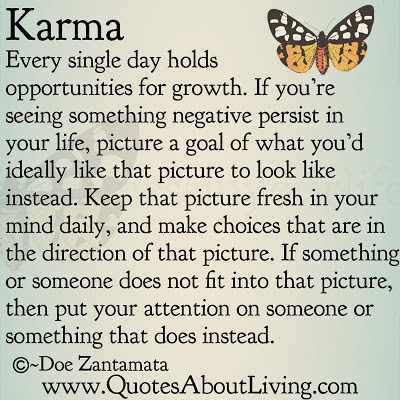 Keep that picture fresh in your mind daily, and make choices that are in the direction of that picture. If something or someone does not fit into that picture, then put your attention on someone or something that does instead. 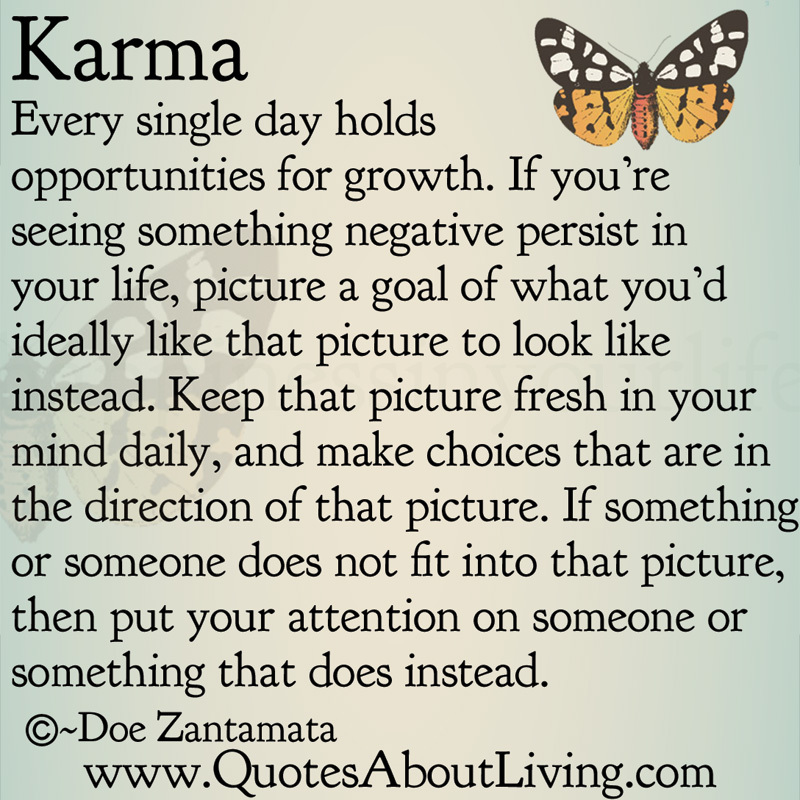 From the book, "Happiness in Your Life - Book One: Karma"